View recent Real Estate updates, Awards & Acheivements, plus ongoing Community News & Involvement. This 2 bedroom and 1 bath home has been updated with fresh paint, laminated floors, remodeled bathroom and kitchen which includes new appliances: disposal, dishwasher, gas range/stove, microwave and refrigerator. New doors and windows on the main level have been added. The laundry area is located in the basement. The patio area is located behind the home with chain fencing on the side and a wooden fence at the back of the property. One bed home with potential in Benld. Home features large living room, good sized bedroom. Kitchen is eat-in style. 3/4 bath and laundry. 50x120 lot size. Sold "As Is". A remarkable property summed up by awe-inspiring views, the perfect blend of elegance and enjoyment, and a gathering space for endless nights where friends will not want to leave. Open concept main floor with living room highlighting the natural beauty surrounding the home full windows floor to ceiling and separate hot tub room. Main floor master suite with walk in closet, make-up vanity and tiled master bath with double vanity, walk in shower with seats. Lighted staircase leads to the beautifully finished walkout basement. The pub style pool room features full solid wrap around bar, liquor display, pool table, surround sound, and fully functional PHONE BOOTH! Pull up a stool and take in the soda fountain themed wet bar with checkered backsplash and lighted cabinets. 2 huge bedrooms with full windows and full bathroom in basement. Covered back patio shows off stamped tile look concrete. Ultimate 36x48 outbuilding with concrete floor, central A/C and heating, bathroom and workshop. Move right and enjoy. Very clean and well maintained 1 bedroom home in the heart of Livingston. Easy commuting to Edwardsville and Saint Louis. The home features large rooms throughout beginning with the living room that opens up into the dining room. The bedroom has a very large closet and is also spacious. Very functional kitchen with appliances included. Large fenced in backyard and located on a corner lot. 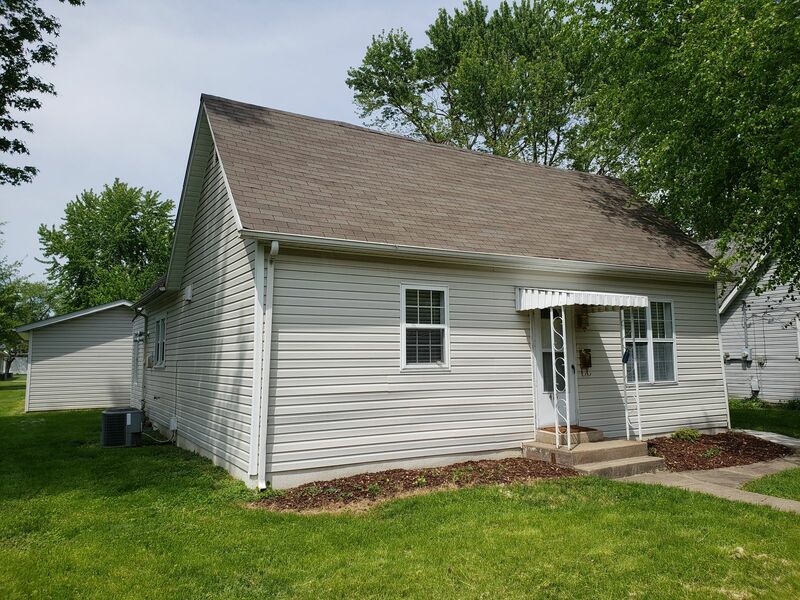 3 bedroom brick home on outskirts of Staunton. Charming hardwood flooring throughout the main floor. Eat-in style kitchen/dining area. Large living room with brick fireplace and hardwood flooring. 3 bedrooms with full bathroom. The master bedroom features half bath. The lower level is large and open and has a space previously used as a rec room. Walk-up concrete drive leads up from the basement to backyard. Spacious back yard. Front yard landscaped and white vinyl fence accents the property. Covered front porch. 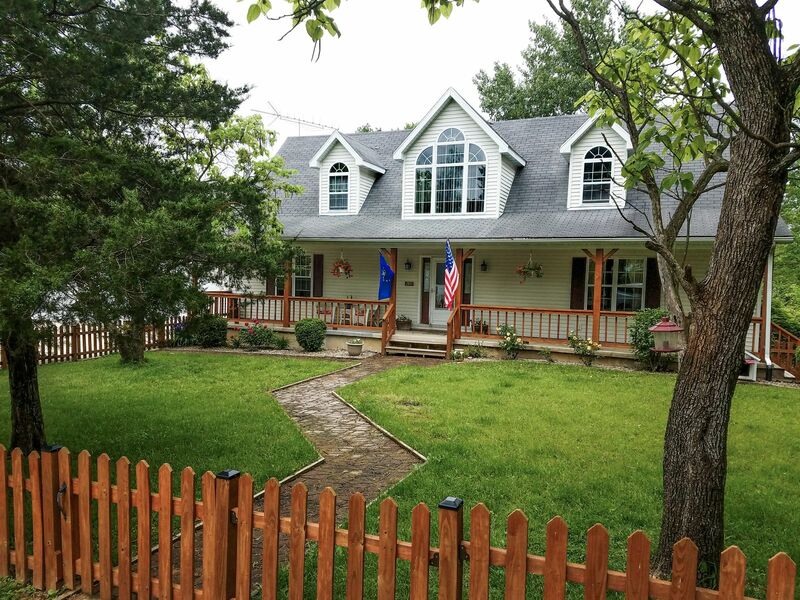 Secluded 1.5 story Country home on 5 wooded acres! Enjoy your coffee on the large covered front porch or back deck. Private setting! Beautiful foyer entry with open staircase. Spacious main floor with formal dining room, breakfast nook with access to partially covered back deck. Main floor laundry, large living room, master bedroom & bath. 2 large bedrooms & full bath on upper level. Home offers walkout basement with family room, bar area & possible 4th bedroom or office. 3 yr old Furnace. Super nice oversized attached 3 car garage. Plus awesome detached workshop building, 30x40 with a 10x40 extension, every man's dream! Heated & cooled with 220 amp service & copper air lines. This little piece of heaven also includes a 15x30' above ground pool (5 yrs old) with large deck on 3 sides. Pool supplies stay with 1 outside patio set. Some furniture & tractor are negotiable. This home is located in a Blue Ribbon School District. Make appointment today to see this amazing home! Smaller home for smart buyer - totally updated. 2 bedroom with open kitchen/dining area that flows into the living room. You'll be amazed at the roominess of this home. Backyard oasis has a patio and covered gazebo. Newer 2 car garage and huge shed. Extra parking in the front. Move right into this adorable home! Great building site situated just North of Renken Road on the Macoupin and Madison County Line. Located on VFW Road outside of Staunton, the lot has quick access to I-55 and is only 20 minutes from Edwardsville. The lot is over 2 acres and is surrounded by newer custom built homes. 3 bedroom brick ranch home on double lot with a covered front porch ideal for enjoying a cool evening. This home has an attached garage and a detached garage with an additional storage building. Relax in the sunroom or entertain on the patio in warmer weather and curl up in front of the fireplace inside in cooler weather. The full basement has a lot of possibilities for additional space. Priced to sell. Beautifully renovated and ready for you to move in! Come see this huge 3 bedroom, 2 full bath home on 1/2 acre lot in Bunker Hill. Living the dream - Secluded - No neighbors in sight - This 9 acres of ground is very peaceful and tranquil. Ranch style 2 bdrm, 1 bath home with walkout basement (with addl bath). Attached 2 car garage. 40 x 50 pole building with walled off insulated workspace. Pond on the property. Covered Deck. Paths around property already established great for walking paths or 4-wheeling paths. Move in and enjoy the updated 2 bed home. Great sized open feeling living/dining/kitchen area. The kitchen is very big with plenty of storage and is eat in style. Bedrooms are spacious and have closet organizers. Main floor laundry! High efficiency furnace and newer water heater. Fenced in back yard with storage shed. Beautiful, move in ready and enjoy! *** Brand New roof being installed April 2019!! Beautiful 2 bed home with extra space throughout. The charming home starts in the eat-in style kitchen, included appliances, and plenty of storage. Large living room features gorgeous all brick wood burning fireplace with nice mantle highlighted by accent lighting, as well as wall mounted flat screen TV (negotiable). Upper level features great sized 2 bedrooms and full bath. One bedroom has walk-in closet and additional closet. Notice the character in the original wood work and also wood flooring in 1 bedroom. Downstairs is finished and highly functional! Full laundry room, full bathroom and large tiled family room. Separate utility room. Oversized garage is a dream with epoxy floor, insulated walls and ceiling, and 2 year old roof. The backyard is relaxing and peaceful featuring the rear patio with covered pergola. Notice the fresh grapes growing in your own backyard!